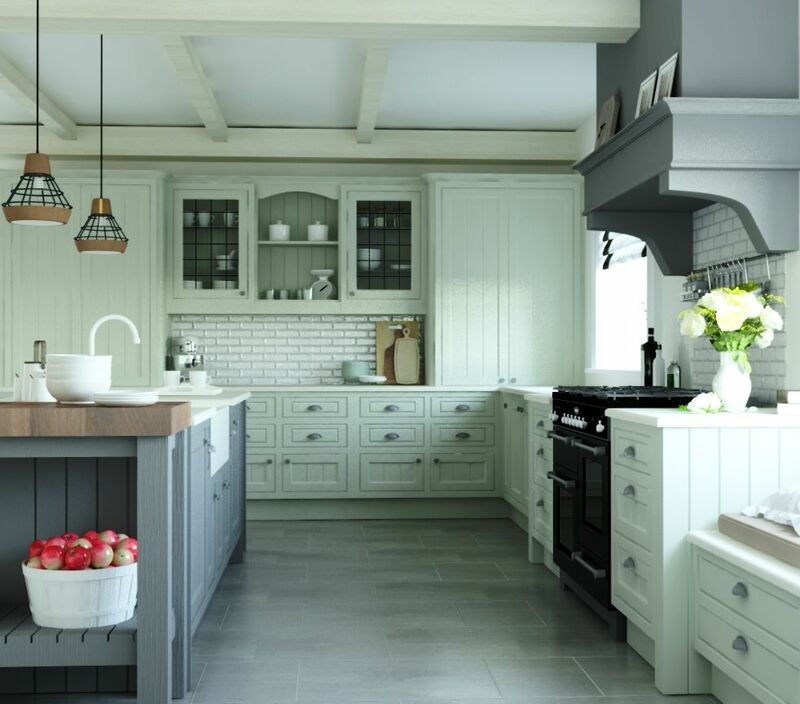 Our freestanding kitchen design specialists use a range of tools and computer software when planning your dream kitchen. We are able to provide you with extremely detailed plans, elevations and high definition visuals to help you envision your new room. At Mudd & Co, our designers fully explore all the possibilities and requirements to achieve the finest handcrafted kitchens. Only then do we set about bringing the project to life, assisting in every step of the order process from your initial enquiry until the much-anticipated day of delivery. Call, email or visit our workshop and showroom to discuss your ideas and individual requirements. Alternatively, you can see us at a number of shows and exhibitions throughout the year, or visit one of our Mudd & Co associates across the UK where you can view our kitchens. Once you've thought about how you plan to use your kitchen, it's time to create guidelines of the space. Download our Planning Pack and use it to draw out the main features, including the position of all doors and windows, the ceiling height, plus where you would like your sink, cooker and appliances if possible..
Our design team will produce three-dimensional visual representations of your new kitchen space, giving you a genuine idea of how the space will look, feel and work. The next step is to meet with one of our designers, who will work closely with you to refine your kitchen design, then produce final plans and images for your approval. At this stage, we ask for a £500 design fee. Once final plans are in place, we request 50% deposit - inclusive of the design fee. Final payment is required once your kitchen is ready for delivery or collection. With final plans in place, our cabinet makers will hand craft your kitchen for delivery within 6-8 weeks. Working together with yourselves or your installation team, we will deliver your new kitchen at your convenience. We can provide a number of fitted or unfitted kitchen layouts, colour variations and even showcase a selection of handles and other finishing touches. bespoke kitchen solution for you. We specialise in unfitted kitchens and furniture – all made using traditional techniques by our team of craftsmen in Leek, Staffordshire. Ready to find out more? Contact us to discuss your requirements with a member of our friendly team.